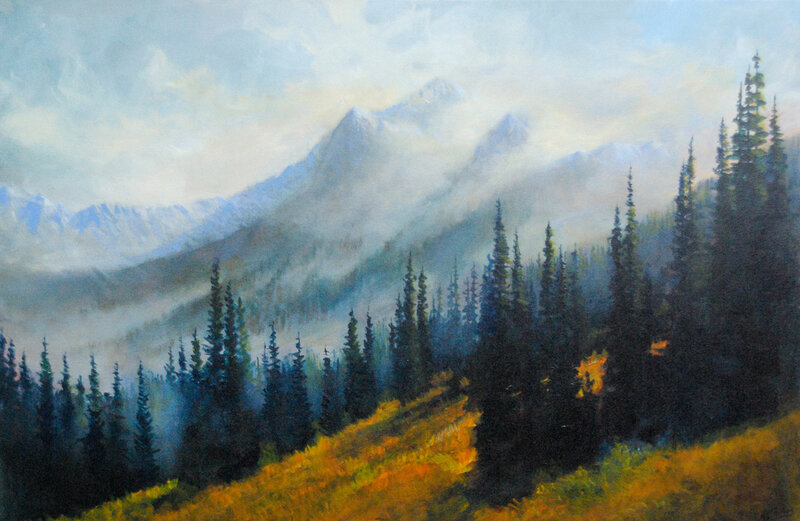 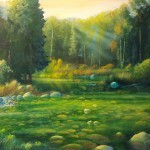 Mountain Mist is a 24 x 36 oil painting done in the interior of British Columbia. 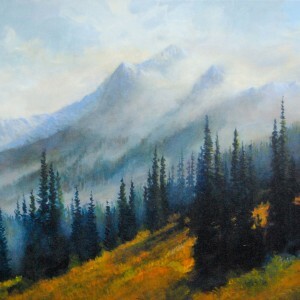 There is a beautiful ethereal mist that settles in the mountains in the Fall. 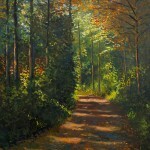 It is a spectacular time for hiking and painting.